10 FinTech Startups active in Benelux have been selected to pitch in front of a jury of VCs, bankers and entrepreneurs. 2 awards have been handed out, one by the jury and one by the audience to the best Fintech Startups 2016. Bart Becks is the co-founder of angel.me, a funding ecosystem for creatives and startups. He is also the Chairman of the board of iMinds, the Flanders research institute for technology and media, and a partner at VentureWise. Additionally, Bart advises startups and scale-ups and also consults larger organisations on growth, innovation and venturing activities. Previously, Bart was the CEO of (Belgacom) Skynet, and Senior Vice-President for New Media and Innovation of the pan-European mediagroup SBS/ProsiebenSat1. Thibaut has been active in the startup ecosystem since 2012. He first worked for accelerators such as NEST'up and CO.STATION. Nowadays, Thibaut works as an innovation manager for Startups.be where he focuses on European markets and investment readiness for Belgian Startups. He also works for Serena Capital, where he seeks Belgian investment opportunities. Gregoire de Streel is a serial entrepreneur and the co-founder of (Belgacom) Skynet, Keytrade Bank and Tunz.com. He is an active investor in several European startups with a special focus on Fintech & InsurTech companies through Belcube.com. Gregoire has also been President of Réseau Entreprendre Bruxelles and is still member of the board. He is also member of the board of Fintech Belgium asbl. Wim De Waele is CEO at Eggsplore, which he founded in September 2015 with Jurgen Ingels, former founder of Clear2Pay. Eggsplore is an organization that acts as coordinator and catalyst for the FinTech ecosystem, by providing a number of business and logistical services and by providing a face for the community through educational and network events and a Brussels based entrepreneurial hub that houses FinTech organizations and companies. Maxime started his career in Venture Capital at AXA Private Equity in 2009 in Paris and then at XAnge Private Equity in Munich. He also worked in innovation consulting (TMT, cleantech) for 2 years at Alcimed performing technological due-diligences. From 2013 to 2016 Maxime was Investment Associate at Seventure Partners focusing on the FinTech & InsurTech space in France and Germany. During his career he has been involved in around 18 investments in France, Germany and Belgium. Now Maxime is Investment Director at BlackFin Capital Partners. 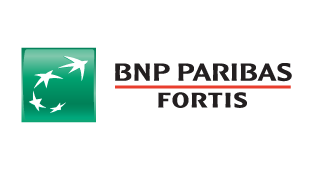 Olivier Peeters is fostering innovation at BNP Paribas Fortis and the chairman of the Board of Director at Co.station. Co.station has the ambition to be a world class co-working space and accelerator for start-ups and scale-ups with strong personalities to move forward and realise their wild ambitions.